Chelsea was born and raised in Valdosta, Georgia. 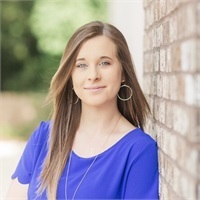 Prior to joining the Bush Wealth team Chelsea began her career as a receptionist for two years at a local Insurance Agency. Chelsea then received her Georgia Property and Casualty License to work as a Licensed Customer Service Representative at another local agency in town. Chelsea attends the Dasher Church of Christ and is also an Alumni of Georgia Christian School. In her spare time, she enjoys spending time with her Husband, Family, and Friends. Chelsea is passionate about serving others, both in her professional and personal life. She believes in going above and beyond to add the personal touch Bush Wealth clients seek and deserve.